Posted September 10th, 2018 by Berkley CP & filed under Latest News. The construction industry is on the rise again in the U.S. Going into 2018, Dodge Data & Analytics predicted that total U.S. construction starts for the upcoming year would climb 3 percent to $765 billion. This includes a 2 percent increase in commercial building and a 3 percent advance in both the institutional and public works markets. However, there is a downside. Liability claims are trending upward. When the market bottomed about 10 years ago and new construction all but disappeared, many of the industry’s most experienced workers moved onto other fields leaving a dearth of experienced construction help throughout the nation. In addition, the growing movement toward design/build methodologies merged the boundaries between design and contracting to blur the lines of responsibility when problems occur. As a result, construction professionals are now working in a construction environment that mandates a more disciplined approach to the design team relationship. Being the prime design consultant or contractor on any job couples benefits with risk. In most instances, prime consultants are not only liable for their own services and the work of their employees, but also the services offered by the subconsultants they retain. This doesn’t even consider the exposures related to construction data breaches, cost overruns, cyber intrusions, the use of drones and related errors and omissions. First, the negotiation of clear and fair agreements is the best way to make sure that all parties understand the allocation of risk, as well as their roles, responsibilities and rights. These documents should define everything from the scope of services to scheduling and dispute resolution. Next, every construction professional should make sure the proper risk management tools are in place before the job starts. 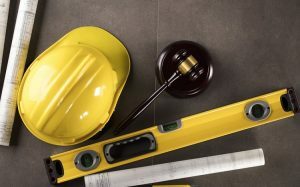 This includes adequate levels of professional liability, commercial general liability, excess liability, commercial auto and workers comp coverage forms that are commensurate with the project’s scope and services rendered. It is also important to downstream these same obligations to anyone involved with design and construction, especially with respect to the limit of insurance for higher-risk design disciplines and the period for which it is to be maintained. Furthermore, there must always be a plan of action for dealing with problems. From the very beginning, counselors and their clients need a strategy or plan for handling liability issues. This should extend from the initial reporting and handling of liability issues to the claim’s settlement or, alternatively, winning at trial. While it doesn’t happen often, mistakes can include the mismanagement of files and records, late reporting of exposures and the outright decision to hide mistakes from insurance carriers. Any of these can have disastrous effects, resulting in anything from the loss of court cases to the negation of coverage. A strategic plan that is followed will help eliminate or reduce the impact of mistakes. Once an incident occurs clients and their defense counsel should be in contact with insurers as soon as practicable. From the very moment an error is identified, every procedure and step should be well documented and recorded for review by both carriers and possibly a court of law. This process can last from six months to years depending on the subsequent project delays, cost overruns, policy type and terms, plaintiff demands, court and jurisdiction. Plus, mistakes happen. Never lie. Many times, the cover-up can be more damaging and costlier than the underlying liability. In addition, don’t wait to confront a problem. Insurers immediately want to know of any incident that may result in a payment. The proper course of action can be the difference between the quick settlement of claims and years of litigation. Unfortunately, errors and omissions can happen on the most stringently run jobsites. Today’s design/build processes have created too many overlapping pieces in environments heavily dependent on the latest technologies and enviro-friendly demands. Even small problems can lead to costly delays. That’s why it’s always important to plan ahead with clearly defined risk management strategies that prepare for every contingency. There are far too many examples of projects crippled or even killed due to the lack of planning or ability to resolve claims quickly and equitably. Download original article published in Construction Executive. Walter J. Adams, Jr. has spent nearly two decades handling Architects and Engineers and Contractor’s Professional Liability claims at leading insurance carriers as well as litigating professional, general, environmental and construction liability cases. Berkley Alliance Managers is an alliance of specialty professional liability insurance underwriters and is a member company Berkley, whose insurance company members are rated A+ (Superior), Financial Size Category XV by A.M. Best Company and A+ (Strong) by S&P.